1. Pick the right author. If an author had visited my school when I was a child, I’d still recall it vividly. Sure, it can supplement Common Core standards (like these). But it can also be an uncommonly memorable experience. And the speaker matters. Knowing how to write doesn’t necessarily mean understanding how to enthrall and educate kids (while satisfying teachers). I’ve done scores of author visits—massive public and tiny private schools, K through 12th grade, from rural California to suburban New York. No two audiences are quite the same. But a good speaker can captivate any group. You can check out some testimonials or watch this 4-minute video. Each 45-minute presentation is separated into two parts. In the first, I take the students on a journey through the origins and adventures of my writing life. Then, in the last 20 minutes, they put their imaginations to use, as we create a vote-for-your-choice story together (hint: it involves a treasure map and a time machine). The kids LOVE it and learn about character, plot, setting, and description. It is education disguised as entertainment. And in the end, I leave them wanting to finish the story themselves, an ideal opportunity for teachers to supplement the assembly. A half-day program ($800 fee plus travel) consists of two 45-minute assemblies. 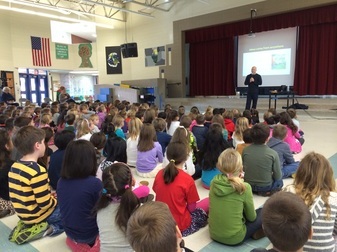 But I always recommend the immersion benefits of a full day ($1400 fee plus travel), which means three full presentations, a 15-minute stop-in with the kindergartners, and an author lunch with specially selected students and/or interested teachers. Each hour-long presentation is a greatly extended version of my popular TEDx talk – “Catching Creative Ideas.” I highlight seven methods illustrating how I conceive, develop, and convey my subject matter: wonder out loud… counter conventional wisdom… find the real story… find the right angle… apply your imagination… participate… timing is everything. Along the way, I tell stories about competing in the Masters of Miniature Golf, appearing on “Who Wants to be a Millionaire,” driving the Oscar Mayer Weinermobile, and misquoting Sherlock Holmes. The fee is $500 per presentation (minimum 2 assemblies). Schools have been thrilled with my two-day assemblies/workshops option ($2400 plus travel). The full day of assemblies is followed by a day of workshops with the older students (as many as 6 full classes). 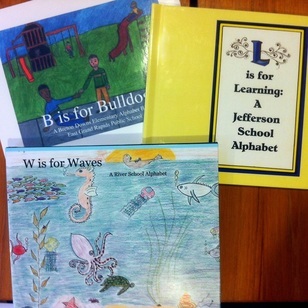 The kids and I create an alphabet book – 26 poems from A to Z – about your school. Many schools have published these as illustrated books, raising money for their library, PTA, even a village in Africa. It’s an opportunity for hands-on authorship. I am also available to give additional one-hour talks to any teacher or parent groups at night ($600). 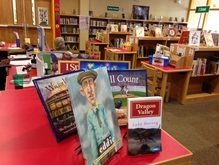 I can offer two options for topics – my “Catching Creative Ideas” talk or “Hemingway was a Sportswriter,” which is a personal, historical, and literary discussion about how kids’ passion for athletics can translate into enthusiasm for reading and writing. 4. Create buzz. Prime the students. Excite them about an upcoming visit from a “real-live” author. Purchase my books for display in the library and read them in advance. Make use of Leader’s Guides for my books. Hang my posters throughout school (I’ll send some). Have the kids visit my website profile and create an alphabet list about me. 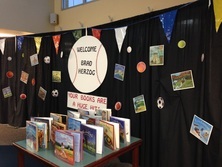 Design a “Welcome Brad Herzog” display case or banner (I’ve seen several sports themes). Tell the kids to wear their favorite sports jersey on the day of my visit. Contact any local media outlets that might be interested. And invite parents! That way, the inspiration can continue at home. 5. Maximize the visit. On the day of my visit, all I need (besides lunch and bottle of water) is a slightly darkened room, a microphone, a projector to which I can attach a laptop for my PowerPoint presentations, and a suitable projection screen. I also request that teachers keep one eye on the students and the other on how you might utilize my presentations later in the classroom. On occasion, I’ve seen teachers grade papers during my talks or even skip the assemblies altogether. Please don’t do it. Obviously, that’s not the way to make the most use of a visiting author. 6. Order autographed books. A signed book is not only a great gift, it also allows the author’s visit to linger in the child’s memory. You can download a book order form and hand it out to the students immediately after my visit, when they’re most energized about reading and writing and meeting an author. Give parents a week to return the forms, then send the orders and payments to me. I’ll pay for shipping. Within a couple of weeks, autographed and personalized books will arrive.